FREE SHIPPING ON ALL clean protein ORDERS OVER $35! 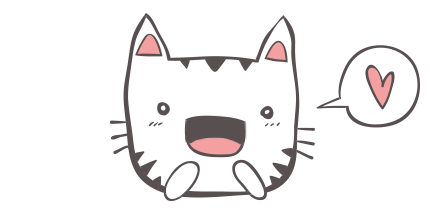 It’s Reigning Cats and Blogs! How Do I Train My New Kitten to Use the Litter Box? #1 kitten training litter for kittens 8 weeks to one year. This scoopable litter is an addition to the Cat Attract™ litter line. 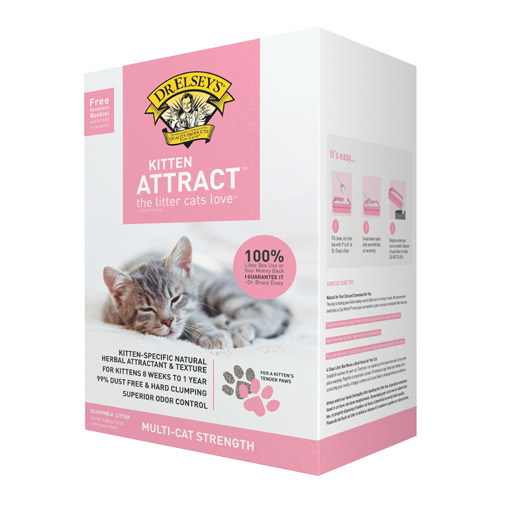 Kitten Attract™ Training litter is made of premium scoopable litter with superior clumping ability and ground to an ideal granule size and texture for a kitten’s tender paws. Kitten Attract™ Training litter contains a kitten-specific natural herbal attractant that piques a kitten’s curiosity to use the litter box. The combination of herbs, texture and particle size provides a unique and effective solution for owners of kittens. Dr. Elsey recommends that after one year owners switch to Cat Attract™ to ensure consistent litter box use. Each box has a free Litter Box Solutions Booklet. Enter your email below to join our newsletter and receive 20% off your first order of Dr. Elsey's clean protein.